Pauline (Polly) Bullock Savage passed away on Thursday, September 15, 2016. She had been a resident of the Fountains of the Albemarle for several years. Prior to her move she was a longtime resident of Everetts and Bear Grass both in Martin County North Carolina. She was preceded in death by her parents Beulah Cowan Bullock and Lewis Albert Bullock, her husband Clayton G Savage and a son Franklin Davis Savage, three brothers Edward Bullock, Atung Bullock and Ralph Bullock. She is survived by her daughter Paula Savage, granddaughter Tiffany Williams, grandson Clayton Williams and a great grandson Colton Williams, her special nieces and nephews, Kathy Coltrain, Vicki Rogerson, and Bobby Savage along with 7 other nieces and 9 nephews who lived away from her home, her sisters Elizabeth (Lib) Swinson, Nancy Shonk, Geraldine (Gerry) Donnell (her twin) and Janice Smith and a brother W. B. Bullock of Rocky Mount all left to cherish the many memories of her life. Pauline enjoyed being a farmer's wife. She was a retired Registered Jeweler and Certified Gemologist by the American Gem Society. She was very active in Martin County and Northeastern North Carolina Politics having served on several boards and commissions and highlighted by her 13 years as Mayor of Everetts, North Carolina. She received the Governor's Award as Cooperative Extension Volunteer. A lifelong Presbyterian she was active in both the Roberson Chapel and Bear Grass Presbyterian Churches where she also served as an Elder. She was warm, kind, interesting, concerned, compassionate, sympathetic, lively and faithful, her earthly presence will be missed by many. 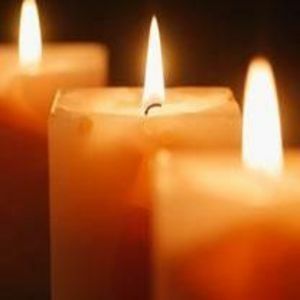 The funeral service will be held Sunday at 3:00 PM at Biggs Funeral Home Chapel in Williamston with Rev Judy Stanley, Rev Robert Clark, and W.B. Bullock officiating; burial will follow at Martin Memorial Gardens. The family will receive friends Saturday from 6:00-7:30 PM at Biggs Funeral Home. Flowers are welcome or memorials may be made to Bear Grass Presbyterian Church or Roberson Chapel or a charity of one's choice.